My name is Alison Kriel and I’ve been the Headteacher of Northwold Primary School in Hackney since 2008. I was originally appointed as an Executive Head after the local authority had been running the school for 3 years. During that period there had been a number of leaders which had led to instability. When the job was presented to me, I was asked to prepare the school for an Ofsted but lead to believe that with, leadership aside, everything was fine at the school. I quickly learned that that wasn’t the case. The school was failing and it was near the bottom of the national league tables; parents, pupils and staff were aware of the school’s position. As a result, the self-esteem of the whole community was very fractured and there was little sense of pride within the school. Confidence was so low that teachers had the mindset that they could not expect much from the children and in turn, the parents had very little trust in the school. The school was also receiving a huge number of complaints. It really was all very poor. The school’s culture at time was also very negative, chaotic even. Staff were not respectful of each other, and in turn the students were not respectful towards the staff or each other. All of this contributed to the very high turnover of the SLT which served only to perpetuate the lack of stability within the school. The school’s poor reputation also meant that the school had 125 children spaces unfilled which had a significant impact on funding. In spite of all this, the local authority were just effectively plastering over the cracks and doing nothing to address the deeper, underlying problems. As the new head I became accountable for everything in the school, even though the issues long pre-dated my headship. I felt like I was just trying to fix other people’s mistakes and expected to bring about change in an unreasonable time-frame. The situation was hugely demoralising. I was placed under relentless pressure and it quickly began to affect the way that I saw myself as a leader; my family life, my health, pretty much everything from my sleep pattern to my general happiness. My local authority‘s sole concern was OFSTED and pupil and staff well-being was never considered. One day, I decided things needed to change. For too long I was working hard to meet make what felt like cosmetic changes rather than pursuing my own vision for the school. I knew the school inside out, but I wasn’t fully taking up my authority. It was time to start doing the things that I believed was needed to bring about embedded good practice. As soon as I started doing that, things became much easier. I was a better leader for the staff as I was able to share my vision with them and there was greater transparency. I made changes to bring community cohesion and developed practice for the good of all. From that point onwards, the school quickly became much more collaborative and we gained school stability. As I began to make changes to the school, pupil progress and attainment improved. OFSTED came, it was hugely successful. After 3 difficult years of hard work, we were finally in a position where we should have been jumping up and down. But celebration was muted. My staff and I were completely “numbed out” so we simply moved onto the next stage of what we were going to do. It showed me just how I burnt out I was and that I needed to start thinking about what I could do to start making myself better. I also recognised that if I was burned out, the chances were that my staff were probably feeling the same to some degree or the other. 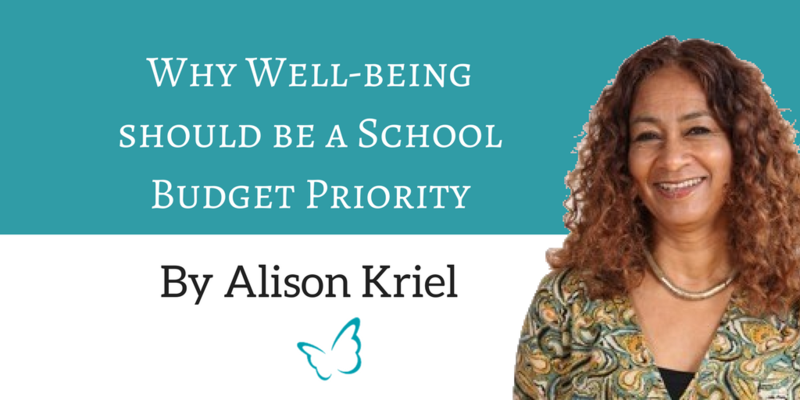 Governors have a responsibility for the well-being of the whole school community so I decided to approach them to ask if we could set a well-being budget. It was a very difficult conversation because the school was still open to negativity, however my governors were great and fully endorsed the idea. We agreed a whole school well-being strategy to support the staff and the school community. As soon as we began to implement the budget, it made an immediate difference. On a personal level, coaching allowed me to truly appreciate the importance of leading by example and modelling the self-care that I wanted to see in my team. I began to look after myself more carefully and in doing so, I was able to notice how when I feel better, I’m also able to lead better. As Headship is often about being strong and holding a space for everyone, I found it so valuable to have a safe place to be vulnerable, drop the leadership mask and think things through without judgement that coaching provides. It creates an empowering space where you can be truly yourself, share your aspirations, your concerns and then find solutions that work for you. Having experienced the enormous benefit of coaching, both in terms of my well-being and my performance, I realised that I wanted my team to also be supported in this way and so I decided to make coaching a priority in the budget. The budget (almost instantly) made an enormous impact on my team. Knowing that their well-being was a school priority built trust and made us all realise that we were not just cogs in the wheel but that we were valued as individuals. The initiatives which have come out from it have developed a real sense of togetherness within the team. Staff are more motivated to be successful for themselves as well as for the school. It has transformed all that we do. When there are challenges we ask “How can we work things out together?” and when things go wrong, we ask “How can we lift each other up?” It means that now even when we face challenging issues (the kind that can fracture a community), I know that we can come through it because we are in such a good place as a team. It has given me the courage to speak to others about the importance of well-being. People listen too because our results make them want to come and see what we are doing differently. When I took up this headship in my current school, there was a history of a low staff attendance rate averaging at 64% and a very high budget (approx. £740,000) for supply teachers. As morale has improved so has staff attendance which now averages 98%. It means a much reduced supply budget and the saving offsets the cost of the well-being budget. Prioritising well-being has made us a happier school, improved staff performance and that has played a big role in ensuring that we’ve consistently been in the London top 10 (which is very rare) and enabling us to become ranked as one of the nation’s top 100 schools. As a school leader, it’s important to realise that the well-being and flourishing of your school begins with you. After all, it is only when our own needs are met that we are able to effectively meet the needs of others and model the well-being we want to see in our schools. That’s why it’s important that you are afforded the time and space to reflect and identify issues, find solutions and embed new ways of leading that’ll best support you to maintain your ability to lead, inspire and create better futures for our children. 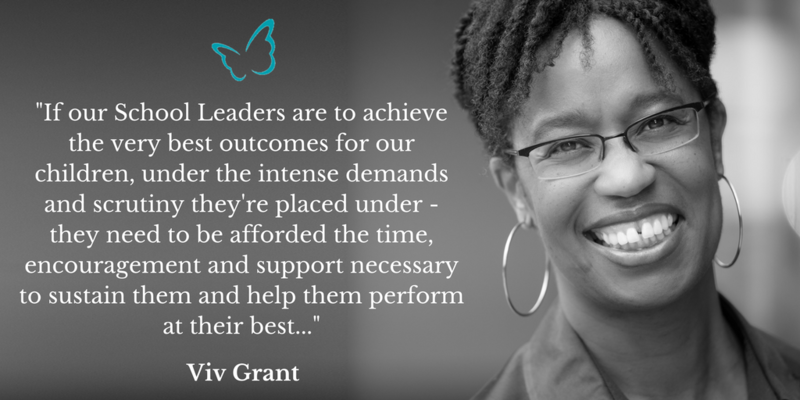 If our leaders are to sustain consistently high levels of effectiveness and develop as leaders amidst the growing emotional cost of leading, the complexity of the role and heightened pressure of being a school leader, this form of support is not just helpful – it’s vital. Social workers have supervision to help them process their toughest cases, and corporate executives have space for “lessons learned” and continuous improvement between projects. Yet school leaders remain endemically under-supported and, as a result, many leaders are left without anyone to turn to when they are in need of support, clarity, guidance or even just some encouragement to keep going. That’s why I am now offering free “Coaching for The Soul” support calls for school leaders to ensure that no School Leader finds themselves in the same situation as I was as a School Leader. Great article, thank you Alison, School & student well-being begins with the vision of the school leadership. We have to get away from the notion that it is the soft ‘add-on’. it underpins everything; pupil engagement and therefore learning outcomes, pro-social behaviour and therefore less bullying, mental health and resilience. It also makes a difference to teacher retention. It should be a no-brainer in every school! I have been involved in these issues as a educator and researcher. Was in Australia, now back in the UK. Check out http://www.sueroffey.com for articles, books, research papers etc. Happy to share/talk to anyone! I have blogged on this topic many times. I’m not sure how long it will take until the education sector finally wakes up. I just hope it’s not too late! I wholeheartedly agree that wellbeing should be at the heart of what we do in schools. Great article. Thanks. Dr. Neil Hawkes.